As hard drives have become more popular and essential in the present day, we all have landed up buying some extra storage and accessing it with cords and a laptop. There is no harm in pushing its technology up by a notch making data exchange much faster. Utilizing our present wireless technology and opening the gates to backup data from even our mobile phones, the WD My Passport Wireless 2TB storage is a convenient option. 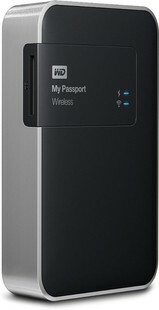 The price of the WD My Passport Wireless 2TB Wi-Fi Mobile Storage (WDBDAF0020BBK-EESN) is INR. 27999. The advantages of having this hard drive are its flexibility. You have the option of keeping it stationary at a place to avoid any clumsiness or carry it around from home to work and simultaneously back up data. Also, in case you happen to have a bad WiFi, you can connect to the hard drive with its USB cable. The data transfer speed is very fast with USB 3.0. The safety of your data is assured in the hard drive thanks to its metal enclosure and its shockproof feature that minimizes the possibility of any physical damage. All the device needs are charging through USB and you are good to go. The WD My Passport Wireless 2TB Wi-Fi Mobile Storage (WDBDAF0020BBK-EESN) is an efficient device and proves to be useful when you are backing up data from your phone or having a shoot on your DSLR. WD My Passport Wireless 2 TB External Hard Disk full specs and reviews as of Apr 2019. Buy it here!